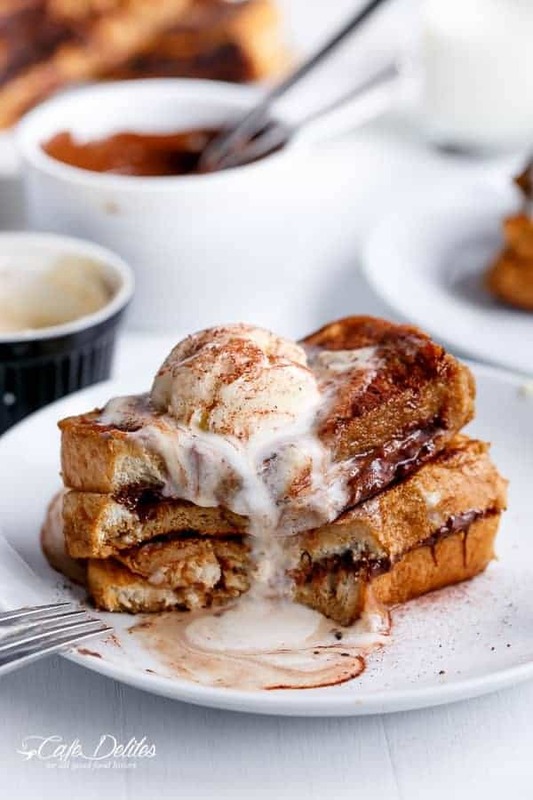 Cappuccino French Toast Stuffed With Melted Chocolate and Topped with Coffee Cream! Yes. 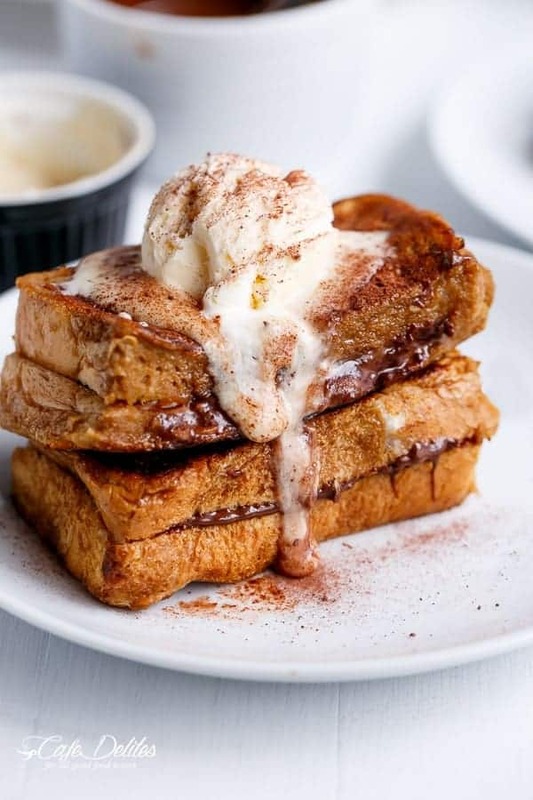 Cappuccino French Toasts. 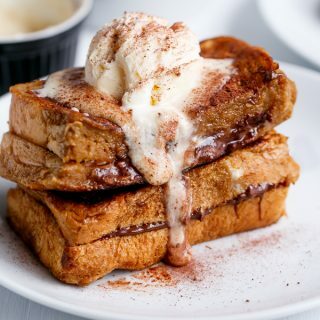 Aka Milky Coffee soaked French Toasts stuffed with Melted Chocolate; topped with a Coffee Cream and dusted with Chocolate Dusting Powder! 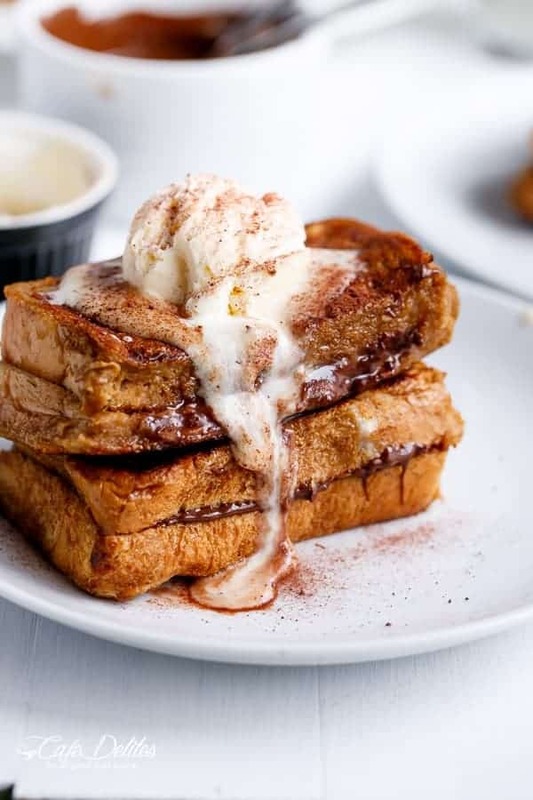 Who woulda thought you could take your favourite Cappuccino and turn it into a French Toast? I searched Hi and Low for a recipe like this online…and came up with nothing. So it’s safe to say this is definitely a Cafe Delites original! What inspired this perfect coffee loving stack of caffeine and chocolate all in one? Cappuccinos, and the lack of coffee I’ve had lately. I needed coffee and I needed to eat, and I wanted eggs on toast. So I guess this would sort of count? Just roll with it. I grew up with milky coffees — not boiled water dissolved coffees. And we call them Cafe Con Leche — Coffee With Milk. Basically, steam some milk until boiling hot, add coffee and sugar, and drink until your heart reaches contentment. And up until now, that was just a drink. Now? French Toast. 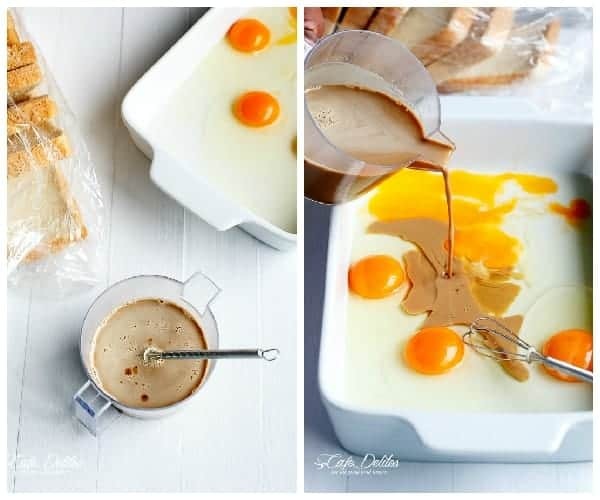 Because that coffee goes into this egg wash (except for the steaming hot part), and your favourite bread transforms into the most epic french toasts you’ve ever had in your life. Unless you don’t like coffee. And in that case…who are you? So, I wouldn’t be true to myself if I didn’t stuff it with Chocolate. And then I accidentally on purpose topped the coffee cream with ice cream and dusted it with more chocolate dusting powder to make it more cappuccino’ed. Not only did we top them. we dunked them in that coffee cream. If you’re a coffee lover like me…try these. You won’t regret it one bit. And if you want something else coffee loving for breakfast, try these Cappuccino Pancakes. Whisk together the coffee, sugar and milk in a jug. Add the eggs and whisk again until well combined. Pour the mixture into a 9x13-inch shallow dish. 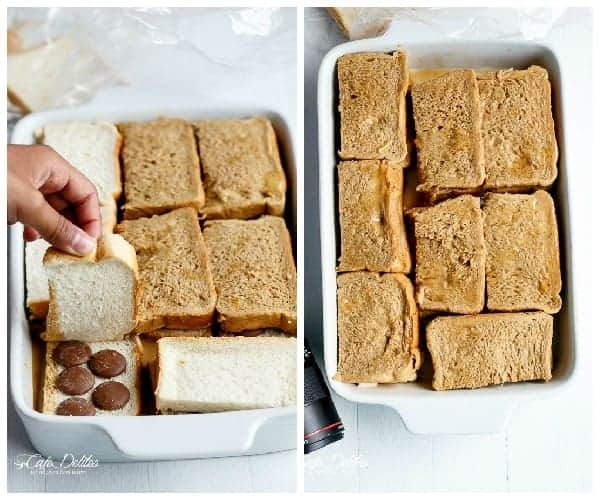 Add 8 bread halves into the egg wash; divide the chocolate amongst the bread pieces and top each piece with remaining bread to make 8 sandwich halves. Leave to soak for 5 minutes on one side, then flip and soak for a further 5 minutes. Preheat a large nonstick pan, skillet or griddle with a light coating of butter. 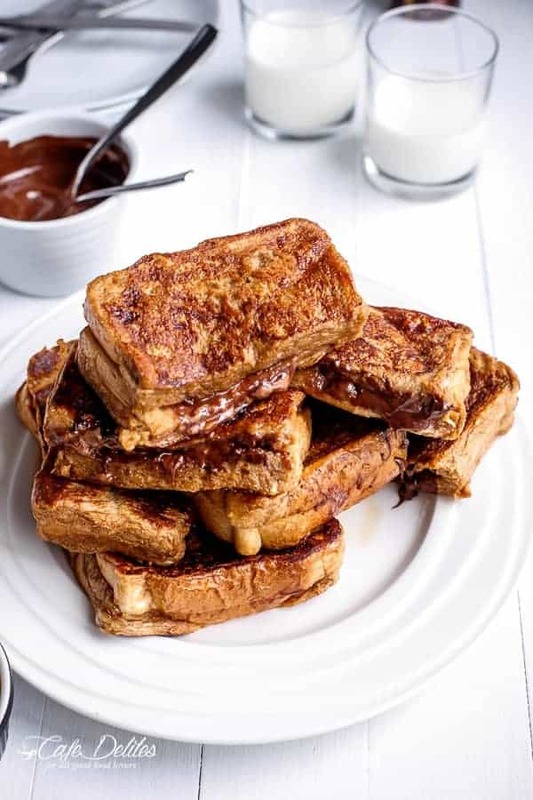 When hot, cook the french toast in batches until browned on both sides, cooked through and chocolate has melted in the centre. 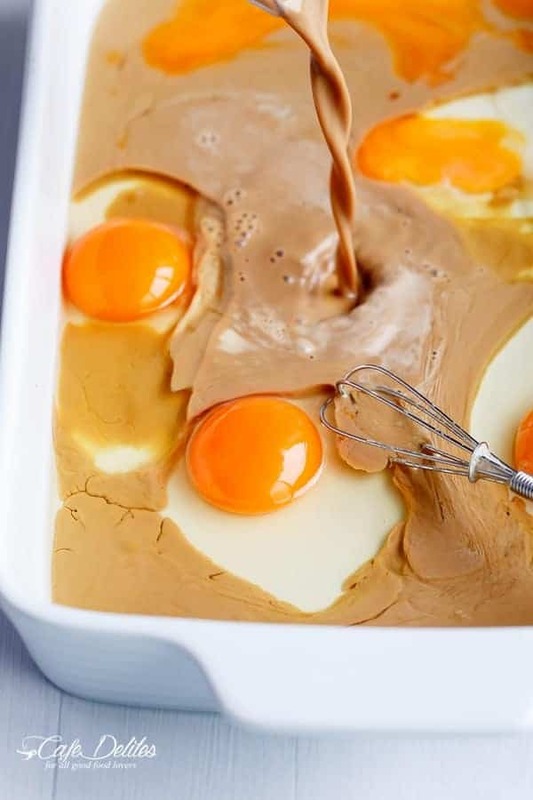 Combine the cream, coffee and sugar in a medium sized bowl; beat on medium - high speed until cream begins to thicken. (Continue beating to make a whipped cream, or leave as a thinner cream to suit your tastes). 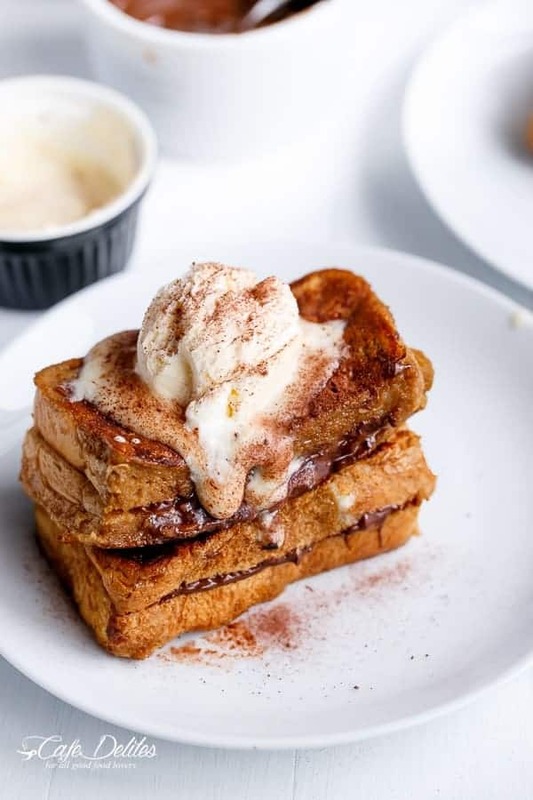 To serve, drizzle french toasts with coffee cream; top with a scoop of ice cream (optional), and sprinkle with chocolate dusting powder. I woke up this morning dreaming about a French toast. Never prepared them nor ate. So I tried the classic ones and your variant cappuccino version. There is no match at all. Thank you for sharing this amazing recipe, I will do it again and again, especially when I will have guest for breakfast! Hahahaha could be the Italian! You’re very very welcome. I’m so happy you enjoyed these for breakfast! Thank you for coming back and letting me know. I LOVED reading your comment! Oh wow, I’m just drooooooling looking at this! You’re killing me! Looks awesome Karina! Love anything coffee flavored! Pinned!